Timeless and universally recognized game, the MeYouGame.com breakout will please all age groups of players. The breakout is the video game with the simplest rules: you just have to break all the bricks in each level by bouncing a ball on a paddle that you can move to the left or right. The game's difficulty increases gradually and some levels are pretty crazy! After you have completed the 10th level, you will have more fun with a bonus level if your score is good enough. After customization, you will be able to have up to 11 of your photos in the game (one in each level). 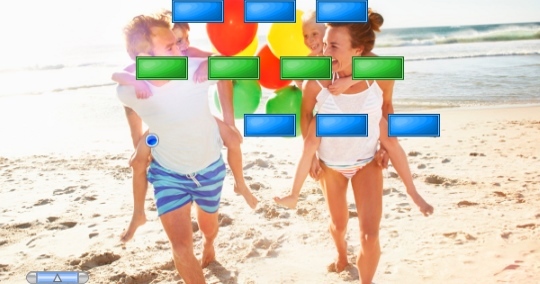 Order the game "Breakout Family"